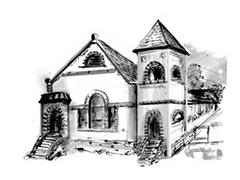 The Universalist Unitarian Church of Santa Paula is one of the oldest churches in Ventura County and one of the first Universalist churches established on the West Coast. It is the oldest church building in the city of Santa Paula and is the bearer of a proud liberal religious heritage that dates back to mid 18th century America. In 1890 a site was purchased for the building and plans for the church were drawn up by Pasadena architects Frederick Roehrig and Seymour Locke. The building was constructed in 1892. 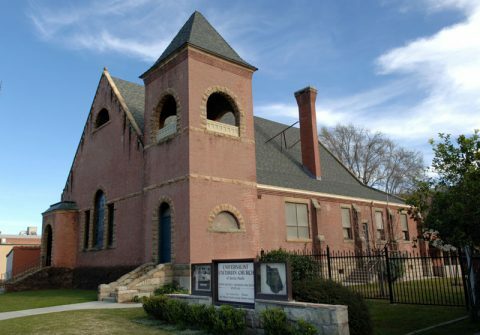 It was through Wallace Hardison’s strong association with the Pasadena Universalist Church that the architectural firm of Roehrig and Locke were selected to design the church building. The church was designed in the Richardsonian Romanesque style, with its characteristic wide rounded arched windows and openings, the only building remaining in this style in Ventura County. The Richardson Romanesque style came into existence the 1870’s and lasted through the 1890’s. It was named after the architect Henry Richardson whose Trinity Church in Boston, built in 1872, was among the most famous examples that initiated this version of the Romanesque style. By the 1880’s, Romanesque was the style of great prestige, and was used for churches, government buildings, business blocks and large private residences. Only a few buildings of this style were constructed in Southern California, among them the first courthouse in Los Angeles. Only a handful remain today with this church being one of them. Characteristics of this style are the square bell tower with its steep pitched roof, the gable end treatments where the gable end is carried up as a parapet, and the use of rusticated stone around the windows, doors, foundation and bell tower opening. The building is constructed of local brick with a native sandstone foundation. The stone is local sandstone and the brick was quarried outside of Santa Paula. It was a common red brick and therefore it was decided to “dress it up” by putting a tinted plaster skim coat over the brick with a thin beading outlining the shape of the brick. The interior of the church is designed in the Akron plan with a nearly square shaped room with the floor sloping toward the pulpit at the southwest corner. Seats are arranged in a semi-circle form. 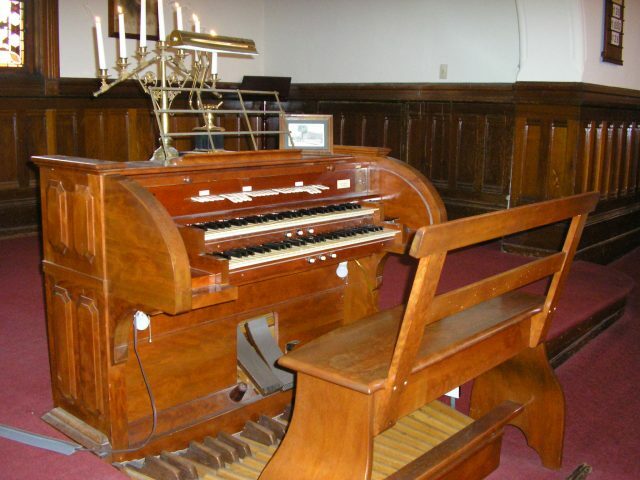 The Estey organ was installed in 1924 (see Organ History for more information on organ). The ceiling of the church is redwood as are the doors and all the moulding. 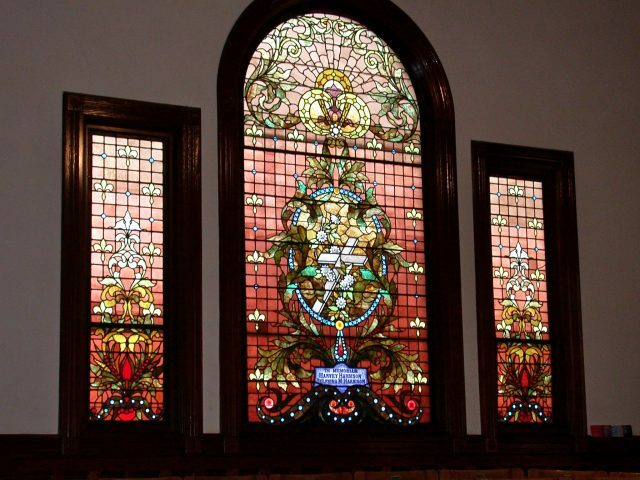 The cost of the lot was $1,900; the construction cost $14,663 and the stained glass windows $955. The supervising architect was W. T. Richardson. Reese brothers of Santa Paula/Ventura were general contractors for the brick and stone work. The brickyards were located in Santa Paula and Ventura. The vision that the early founders had for establishing a building that would last for many generations, one of grand scale and materials, is the legacy they leave with us today.